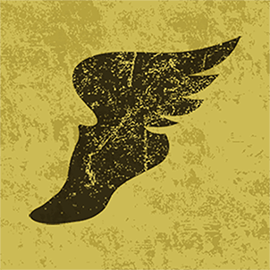 The Cambie Running Room's first big destination run is back with a revival of Michael Stockdale's 2012 New West run. Way back in the old Broadway Running Room days, the highlight of our marathon training cycles was the big destination run to New Westminster. The Broadway route followed a roundabout path through Vancouver to the 29th Avenue Skytrain station and then followed the Skytrain the entire way to the Paddlewheeler Pub at the New West Quay. When Broadway marathon clinic alumnus, Michael Stockdale, took over the marathon clinic at the new Cambie Running Room in 2012, he carried on the New West run tradition, but gave it his own flair by stringing together as many urban trails as he could to create a big, big running adventure. 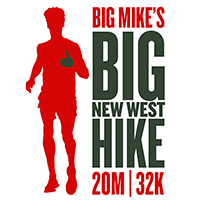 Following in his size 15s, the Big Mike’s Big New West Hike is a big tribute to the big guy’s big, big vision. We’ve included a 16-kilometre version which starts at the Gilmore Skytrain station and joins the main route for the final 9 kilometres to New West.